It’s leaps and bounds forward for Saskatchewan students as a new agreement provides teachers with added access to SMART Learning Suite and professional development. A new agreement between the Government of Saskatchewan and SMART provides roughly half the classrooms in the province with a subscription to SMART Learning Suite and hands-on training for teachers. “Expanding the use of technology in the classroom helps our students prepare to enter the 21st century workforce,” said Saskatchewan deputy premier and Education Minister, Gordon Wyant. Now, more Saskatchewan school divisions will receive SMART Software support and training to incorporate with their SMART boards and mobile devices. These school divisions include First Nations schools, independent schools and post-secondary institutions. Henning worked with the Saskatchewan government to negotiate the new subscriptions and professional development that will bring SMART Learning Suite to 6,000 teachers. No doubt this new application of software will also stretch the skills and efficiencies of teachers, as more than 6,000 of them will be empowered to design interactive lessons and provide game-based learning modules. SMART Notebook, part of the SMART Learning Suite, used by over 25 million teachers and students globally. 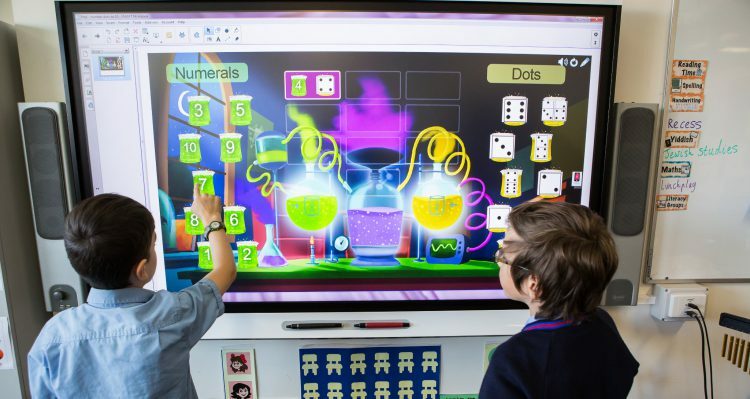 It is compatible with classroom displays and devices, so teachers and students can connect, collaborate and engage with students according to their learning needs. “We enable teachers to meet the evolving platforms that keep pace with our tech world. It is our job to continuously innovate and improve the technology and software dedicated to improving learning outcomes.” said Kimberly.